Expert Scrum Master Certified (ESMC™) certification is the next step for Scrum practitioners to further demonstrate their expertise in Scrum methodology. 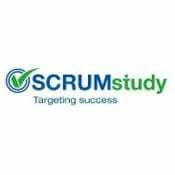 This certification is suitable for anyone who has significant SCRUM team experience and wants to develop the skills necessary to manage complicated Scrum projects. The course will develop your ability to manage those complex Scrum projects and scale Scrum to big project teams, programs and portfolios. May also have attended a 2-day ESMC™classroom training provided by a SCRUMstudy A.T.P.